Because we believe that theatre is a highly effective way to reach and engage at-risk young people, we organised a showcase of work by five London theatre companies that tackle knife, gun and gang crime in their productions, taking them into schools and local communities. 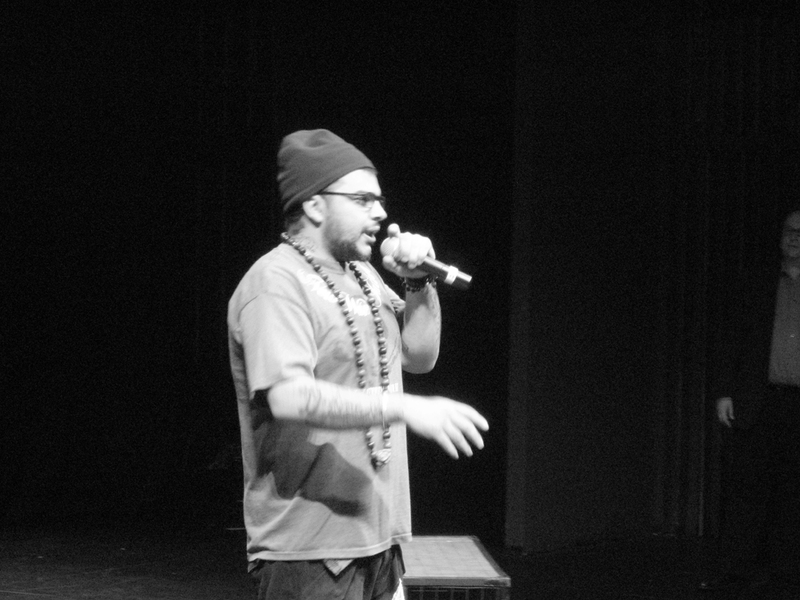 Immediate Theatre started the morning off by showing how it involves young people in its play, ‘Beat Them, Join Them?’. Chickenshed Theatre performed a fastmoving dance excerpt from its ‘Crime of the Century’, and this was followed by ‘It’s No Joke!’, a play written for primary schools by The Comedy School (the Trust was able to help get free performances in 13 Haringey primary schools during the previous two weeks). After the break, Little Fish Theatre energised the audience with an excerpt from its anti-knife play ‘Slash’, and to round off the morning, Arc Theatre combined different scenes from its powerful production of ‘Boy X’. 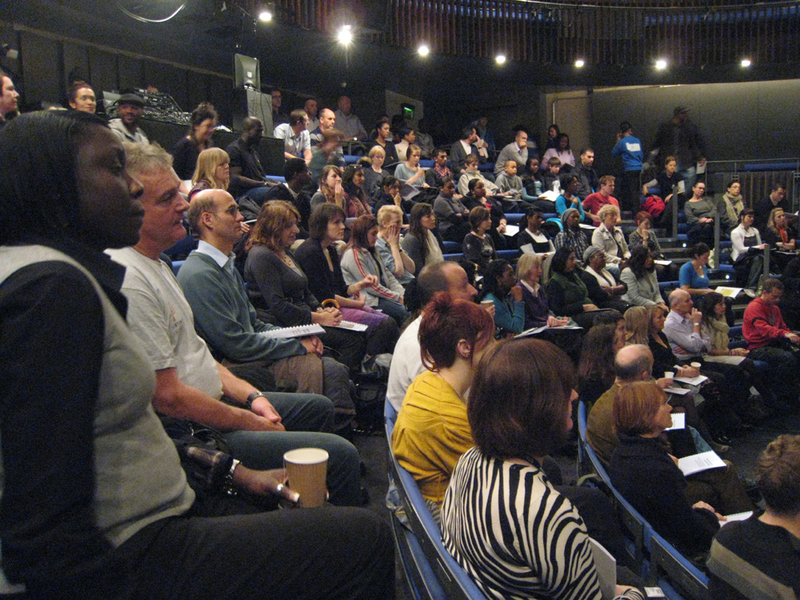 The free event took place on Friday 13 November 2009, 10am-1pm, at the Unicorn Theatre in Southwark, London SE1 2HZ. Everyone received a pack about the Trust and what it is trying to do, as well information about the companies. A digital version can be downloaded below. YoungMinds helped us, the Unicorn donated its theatre space and the theatre companies gave their time at no cost. The actress Brooke Kinsella (whose brother Ben was stabbed to death in Islington in 2008) spoke and Tom’s friend, the poet and singer Stallion Solo sang two songs. 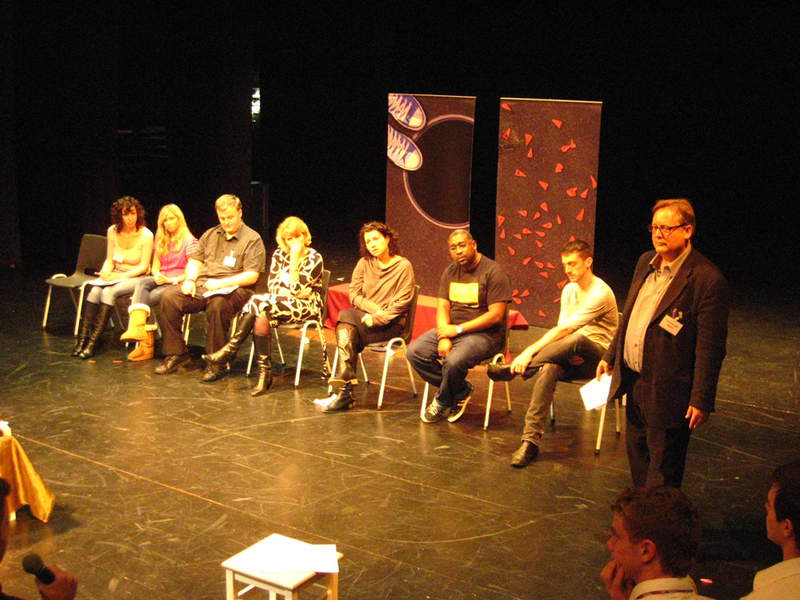 Clifford Oliver, playwright, MC’d and facilitated a discussion between the companies and the audience. More than 160 people from a wide range of organisations attended the event, including schools and colleges, Pupil Referral Units, Youth Offending Services, Housing Trusts, the Metropolitan Police, Community Safety, Probation Services, the Arts Council, and other theatre companies. Young people from a London school also joined us and took part in the discussion.